In 1967, Dr. Martin Luther King delivered one of his most politically charged speeches from Harlem's Riverside Church. In "Beyond Vietnam," he not only condemns the Vietnam War, but also compares American tactics to those of Nazis. His speech paints a dark vision of the world, a contrast to the optimistic speech he had delivered 4 years earlier, "I Have a Dream." Fifty years ago today, Reverend Martin Luther King Jr. spoke at the Riverside Church in New York City. It was 1967. The U.S. was fighting a war in Vietnam. And Dr. King delivered a fierce attack against the U.S. government. It's often thought of as his most controversial speech. In it, he questioned what Vietnamese people must have made of the forces descending on their country. MARTIN LUTHER KING JR.: What do they think as we test out our latest weapons on them just as the Germans tested out new medicines and new tortures in the concentration camps of Europe? It was notably darker in tone than the "I Have A Dream" speech which was delivered four years earlier. He warned about an American military creep beyond Southeast Asia and forecasted a grim future. KING JR.: And if we ignore this sobering reality, we will find ourselves organizing clergy and laymen-concerned committees for the next generation. They will be concerned about Guatemala and Peru. They will be concerned about Thailand and Cambodia. They will be concerned about Mozambique and South Africa. We will be marching for these and a dozen other names and attending rallies without end unless there is a significant and profound change in American life and policy. SIEGEL: His anti-war stance had consequences. After this speech, 168 newspapers denounced King. President Lyndon Johnson rescinded an invitation to the White House. 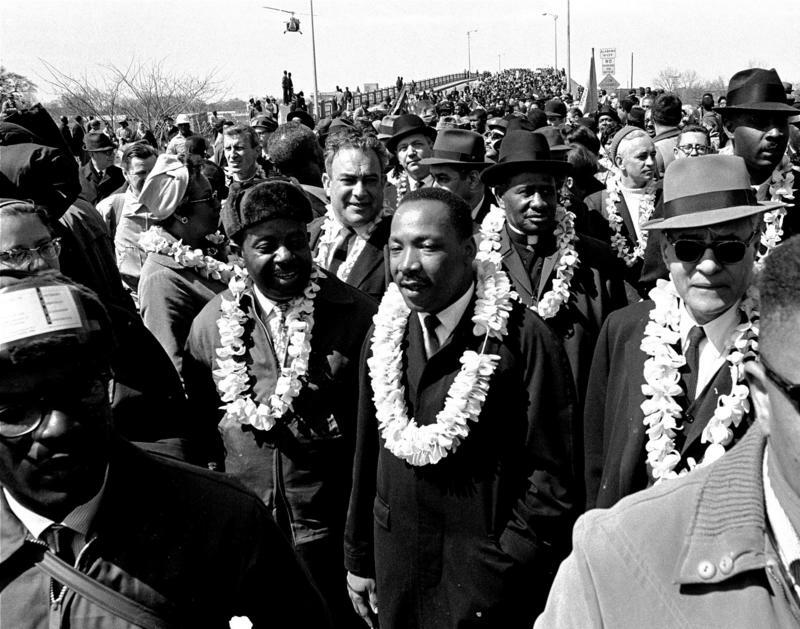 MCEVERS: But in delivering this speech called "Beyond Vietnam," King cemented his legacy as an activist not only for American civil rights but for human rights around the world. Transcript provided by NPR, Copyright NPR.